The passing of The Honorable Anthony J. DeFino last night is a terrible tragedy. The news reported that the Judge’s home on the 2500 block of 20th Street in South Philadelphia caught fire. The Judge did not make it out alive. Today, the Philadelphia legal community mourns along with his wife Rose, their children, grandchildren and great grandchildren. My heart and prayers go out to all of them. Judge DeFino was known to so many people in so many different ways. He was a devoted family man and a zealous jurist. He was a community man and a proud Italian-American. He was the founder of the Order of Brotherly Love, a past president of the Frank Palumbo Lodge of the Order Sons of Italy in America, and he was an Ex Officio member of the Board of Governors of The Justinian Society of Philadelphia. I never tried a case in front of his honor, but I did have the pleasure to serve with him on the board of The Justinian Society. Every meeting was brighter and lighter when he was in the room. His smile was contagious. One fond memory is from 2008. 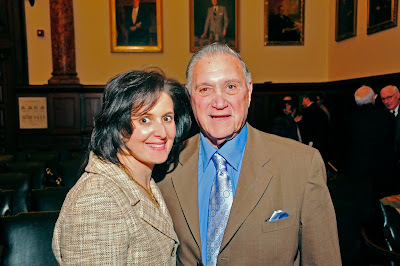 I was the Justinian Chancellor and we honored Judge DeFino with the Cesare Beccaria Award, the highest award given by the Justinian Society in partnership with the Criminal Justice Section of the Philadelphia Bar Association. The Beccaria Award is given to an individual who promotes the cause of justice and the advancement of legal education, and who exemplifies the ideals of Cesare Beccaria, an Italian scholar whose writings would help lay the foundation for the modern legal system. And it was in the spirit of justice that we presented the Beccaria Award to our friend and longtime member, Judge Anthony DeFino, a man with a distinguished career in the field of criminal law. Do Google AdWords Work for Law Firm Marketing?